In his nearly 18 years at Microsoft Doug Thompson has worked with some of the biggest tech companies on the planet. Currently he is a Senior Technology Strategist for the Education Team empowering every student on the planet to achieve more. He is also a passionate storyteller and loves nothing more, except bacon, than helping others develop their storytelling skills. Doug and his wife, of more than 36 years, enjoy spending time with their two children and 6 grandchildren whenever possible. He is also a semi-retired triathlete and is a 2-time Ironman Triathlon finisher and former Board Member for the Boys and Girls Club of Georgetown, Texas. 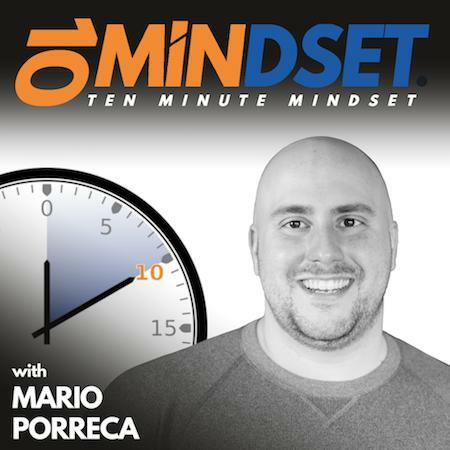 Doug joined Mario on 10 Minute Mindset to talk about his morning routine, how developing the daily habit of meditation has impacted his life, his philosophy of paying himself first when it comes to starting his day, and how taking care of himself and his mindset helps him to more effectively serve others. Connect with Doug online by following him on LinkedIn and Instagram.